Can I Just Work Online? Everybody has days where the idea of sitting in an office, surrounded by co-workers and having to sustain small talks or conversations feels like an insurmountable mountain. Sometimes, all you want is peace so you can think at ease about your project and move things further. However, these days don’t exist. If you work in an office, you know exactly how much even the smallest interruption could cost you. When you want to drink a fresh cup of coffee, you know that it’s not going to need a couple of minutes for you to get a fresh brew from the machine in the communal kitchen. It is perceived as rude if you don’t offer your colleagues a round of drinks too. And, quite honestly, while anyone can cope with a 5-minute break to make a cuppa, the prospect of losing 20 minutes to half an hour just so everyone in the team can enjoy their favorite brew can be unbearable. It’s even worse if you need to remember all orders, from the colleague who wants almond milk in their coffee to the one who swears by the addition of hazelnut syrup. And this is only one kind of interruptions. People asking questions while you’re in the middle of a task or colleagues having a loud discussion in the background can cost you several precious minutes to hours in your day, which appear in the form of stress when you are trying to hit a deadline. So, it’s easy to understand why so many people choose to work online only. Is online the place to take your skills and/or your business? There’s only one way to know, and it’s by studying the different options available. Do you know what people hate the most about their office job? Could it be that the long commute to work is getting too much for employees? Or maybe they struggle with the heavy workload in a stressful environment? Or perhaps, as it happens sometimes, people have to work with a difficult manager who makes their day at work more tenuous? In reality, the thing that most people who work in office agree is that they often have to deal with colleagues they dislike. The phrase ‘i hate my colleagues’ is not a solitary finding. A majority of introverted employees have experienced great difficulties trying to handle interactions with colleagues. Ultimately, in every office, there is at least one person b*tching about one thing or another, and at the end of the day, it can get on your nerves. As everyone reacts to pressure differently, it’s not uncommon to find colleagues who delay projects or co-workers who need to gossip to de-stress and integrate into the team. Unfortunately, these negative behavior can lead to unhealthy team mood, making it hard for people who don’t naturally like to lead or shine in debates to survive unharmed. Disputes, frustration and mean comments are bound to happen in the workplace if nobody creates a healthy working environment. When the team is too much to handle, it’s easy to understand how remote working option can offer the perfect solution to your problems, especially if you want to stay within the same company – that is, assuming that remote work is a viable option where you work. Indeed, when you remove the stress of the office, you also remove the toxic influence of office politics. No gossip, no b*tching, nobody trying to make themselves look better in the eye of the boss. In fact, for many working in their pajamas in the new trend that marks the beginning of a new era of offices where there is finally more room for yourself. What better place to be yourself than at home? Although, if you’re a fan of the PJs work culture, you’d better read this article on www.MakeALivingWriting.com to fully understand what working from home means. The idea that all you need to do is to get up in the morning and turn the laptop on is a little exaggerated. Sure, the online work possibility means that you can ditch the worse of the office culture. But if you don’t get yourself ready for work, you can’t make it happen. Getting dressed, even if you choose comfortable clothes, helps you to prepare your mind for work. Additionally, remote workers also need to rely on quality communication tools and practices to make sure that the team can continue to perform. Admittedly, it doesn’t mean that you should stick to a team. You can choose to quit the office and start your independent digital career. If you choose to work online outside of a team, you will encounter your first big challenge, which is finding consistent clients. While the digital world can offer a free environment away from the reductive setup of the office, if you’re unable to establish a consistent and regular series of projects, it’s fair to say that you won’t be able to enjoy your freedom for a long time. One key rule when starting your independent career: Do not chase after clients as this is both desperate and ineffective. Admittedly, you need to be clear about one thing. Namely, not chasing your clients is only a viable solution when you already have established your first clients. Indeed, a lost of digital freelancers prefer to invest their time in finding their clients, instead of focusing on ways to add value to their business. There is a lot to do, from creating a strong brand strategy to set up a professional digital presence. Improving these elements can impact positively on your online reputation and can make you easier to find for future clients. Additionally, once you get your hand at creating a web presence that works, why not add a few additional sources of digital income with the online business advice from www.OnlineBizFacts.com? You can create websites that are only designed to generate passive income, such as joining an affiliate marketing network for instance. This can help you to survive until you establish a loyal customer base. Can digital presence replace IRL? 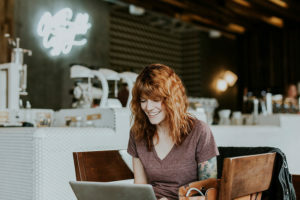 When you decide to embrace the potential of digital work to launch your independent solo career, both as a freelancer or an entrepreneur, you need to create a new network of activities and visibility. You need to exist online to be able to make a living online by selling your expertise and skills. That’s precisely why it’s so important to create a strong social media presence. Using LinkedIn can effectively help you not only to connect with previous colleagues and clients – hence leveraging their network of connections to your benefits – but also to discover potential future clients and industry sectors. If your services focus on a visual aspect, such as being a designer, for instance, you can maximize your visibility on platforms such as Instagram too. One rule matters across of social media platforms: Keep it consistent. An inconsistent presence might imply inconsistent work in the eye of future clients. Additionally, while social media can help to reach out a new audience, you also need to create an online portfolio to promote your work and services to future customers. Thankfully, with the likes of platforms such as Wix, WordPress.com, and Squarespace, there is no need to hire a professional developer to create your online portfolio. You can use this portfolio to introduce yourself to potential leads, or also to shout about your skills and expertise. You have a presence, but what about your identity? Admittedly, there’s a big difference between creating a digital presence to use as a professional résumé, and building a digital brand. When you decide to go solo, the first thing you need to understand is that your brand and your presence are interchangeable in the eye of customers. As a result, customers expect consistency across the content, the experience, and the communication channels online. There’s no point creating engaging blog articles if your customer management doesn’t live up to the expectation. The ideal way to create the experience your customers expect is to understand exactly who your customers are so that you can target the gaps in their interactions with your business. If you’re new to a digital career, you might be struggling to find your first customer. The best advice one could give you is to stay away from freelance sites as these are the eBay of the professional world. It’s not a matter of how valuable your services are, but of how cheap you are. There is a lot of competition on these sites, and more often than not, you’ll find yourself losing against someone who is in a different economic zone. One dollar in India can pay for a weekly grocery shopping, for instance. 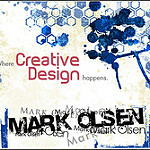 Besides, it can be difficult to use a portfolio site when you don’t have any client. Don’t despair, though, there are a few tips you can use! You could create work for your ideal client and publish it. Or you can also show off your skills in addressing modern industry trends. In the end, while the digital world offers plenty of work possibilities, you need to define which one is right for you. Sometimes, all it takes to enjoy work again is to manage the working environment. While other times, you need to be your own boss. ← How Can You Manage The Unmanageable (Employee)?